PACK OF 2 SILVER FRAMES! Frame size - 6-3/4 inch Modern Frame. 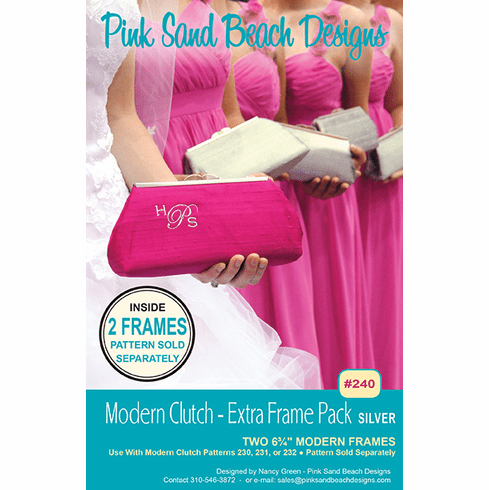 This Extra Frame Pack includes TWO 6-3/4 inch modern frames! For use with the Modern Clutch Patterns: PSB230, PSB231 and PSB232 (sold separately). Use this frame pack when making multiples of the Modern Clutch. The frame is easily glued on making a fabulously finished clutch. Makes a quick and fun project! Great for classes!